Reviews for Hmg Pest Control Inc. They are very professional and always response rapidly. Give 6 months warranty. Will recommend it to friends for sure if necessary. Thank you so much Eileen for sharing your kind and positive feedback on our service. At HMG pest control Toronto we take pride in our Bedbug extermination strategy and its effectiveness. Impressed! We usually get complaints about these bugs almost every week. Just after the first treatment (2 treatment process) by Hmg, we haven’t received any more complaints. They treated 8 bedrooms, 3 baths, stairs and hallways. So glad that we chose the right company for the job. Thank you so much for your kind words and positive feedback! We are very happy to know that your Bed Bug problem at your place has been fully resolved. HMG pest control takes every step necessary to insure 100% elimination for our customers and stress free process. I had a very bad bed bug problem. I talked with many Pest control companies and found HMG pest control more knowledgeable and professional. My Technician was Aasim. He was on time and answered all my questions. After two treatment as promised I’m Bed Bug free. This company took care of my nightmare. Highly recommend HMG pest control to all that may have pest problems. Thank Mr. Jasvir for your kind review. HMG pest control Toronto is specialized in Bed Bug Treatment and Guarantees 100% elimination and customer satisfaction. Thank your recommendation. Hamid provided knowledgeable and caring service, in dealing with this terrible bed bug problem. The first type of treatment hired by my apartment management accomplished nothing and resulted in my throwing out over half my possessions, still with no results. It was a relief to have Hamid come in and take control. The heat treatment is the answer. My initial contact with Hamid was by telephone. He answered all of my questions patiently and with empathy. He arrived at my residence on time, and conducted himself in a pleasant and professional manner. He showed utmost respect for my belongings, and moved furniture and fine objects with utmost care. He guarantees the bed bug heat treatment 100 percent. He emphasizes that should the bedbugs return within a 6 month period he will definitely come back to apply another chemical treatment. I would recommend his company because he booked time immediately, he is knowledgeable and provided the service with professionalism. I called HMG based on the excellent reviews by other clients, which I can now confirm. HMG provided excellent service which it guarantees, and follow-up calls. There were no delays or voice-mail calls. Hamid always answers his calls directly and makes sure the customer's needs are met. Hamid is a man of his word. Hamid and his staff are very customer-oriented and friendly. Hamid goes the extra mile to provide excellent customer service and goes out of his way by helping the customer with unrelated issues. I am 110% satisfied with the service provided by HMG. There has been no reoccurring problem with bed bugs since the heat treatment done by HMG. I wanted to take a moment to say thanks to HMG PEST . After calling a minimum of 5 competitors (both local because of a bed Bug problem in my brand new home 2 room was infested, I was most impressed with the concern, honesty, and friendly phone service that was given by Hamid at HMG PEST. When I mentioned that I was so afraid it will spread he assure me it will not happen not only that I was so stress out but whenever I call they were there assuring me don’t worry they will look after the problems. When HMG Pest arrived the next day, he looked around the House and told me that I had bed bugs and that they are in the early stage. He offer me the chemical treatment but explain to me the difference with the heat treatments and Chemical. Before they arrive I already do my research so I knew he was right what he was telling me. As a new home I decided to go with both Chemical and heat treatment and get rid of it all immediately. The cost was much better than the completion plus the site visit was free. Also, he helped spraying my Garage and storge which I felt this will put my mind at peace. I found them to be the most educated and communicative, the most professional, honest, and dependable. I am very satisfied with the services I received from HMG PEST. 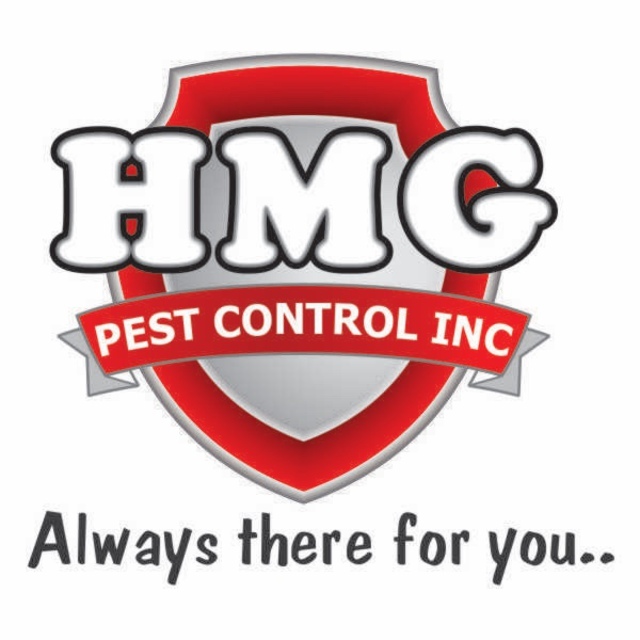 I have no problem unequivocally recommending this HMG PEST local company IN THE GTA to anyone in need of their services. Thank you for your kind words of encouragement and for putting your trust in us. HMG pest control number priority is Customer satisfaction and 100% results. spray Treatment after 2 weeks. Thank you HMG pest Control for all your help. Thanks for fixing our bed bug problem the best way possible. It only took one extermination to stop the bed bugs from biting us, and stop the spreading. It was fast and efficient. We've suffered from a bed bug infestation once before and had a different company solve our problem, but it took more than 3 visits for it to completely be eliminated. I'm happy you take this seriously and get the job done properly!! HMG pest control puts every effort to resolve our client issue efficiently as soon as possible so you can go back to your normal life. I would definitely recommend this company for any pest control issue. Hamid is very knowledgeable, reliable and approachable. Not only does he do an excellent job at exterminating unwanted pests, he also builds relationships with his customers. He even added me on whatsap and I can message him any time I have an issue. When we had a serious bed bug infestation, Hamid and his team came the next day and did the full treatment (heat and chemical). I would definitely recommend this company. They also offer you a 6 month guarantee. Nobody else does that. I've spoken with other companies and the best they can offer is 3 months. More about Hmg Pest Control Inc.
We Specialize in all types of pest & wildlife control. Residential Pest and Humane Wildlife Control. Commercial Pest and Humane Wildlife Control and Maintenance Programs. 24/7 Emergency Service Available for Residential and Commercial Clients.